after four days of walking the farm fields, we're back from the brimfield antique show with a bunch of great finds...we've been unpacking, cleaning, pricing, rearranging...and drinking lots of coffee. 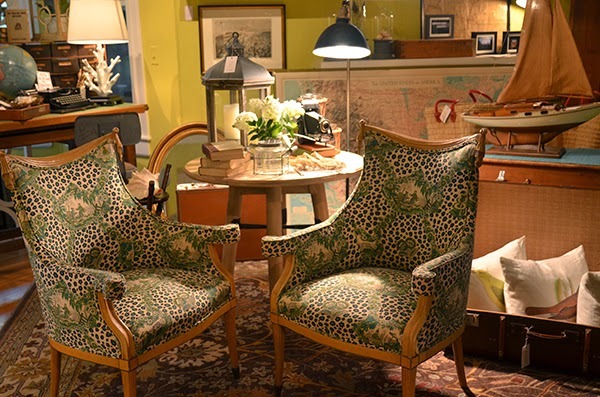 pair of gorgeous parlor chairs in newly upholstered green, teal, and black asian pastoral scene. 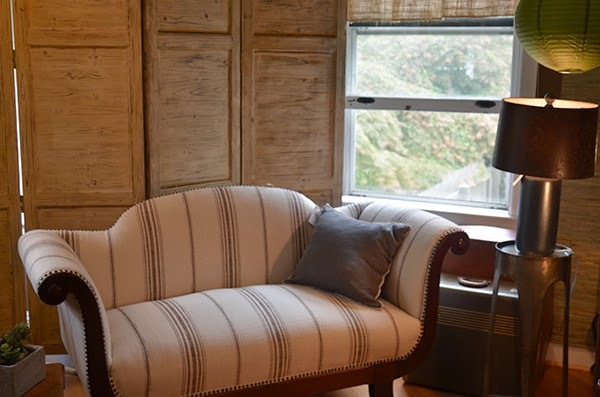 stunning settee newly upholstered in heavy danish striped linen. 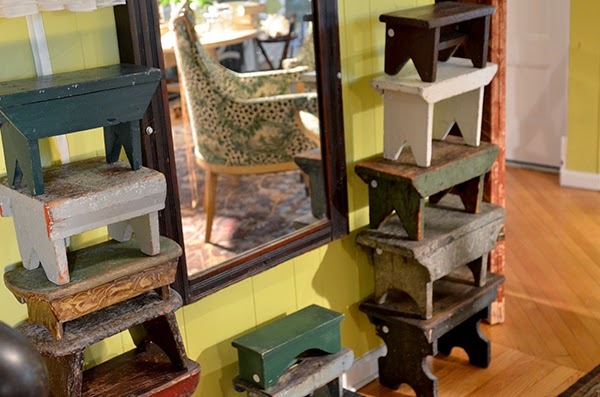 a collection of old farm stools in all shapes, sizes, and old paint...a collection of 20! 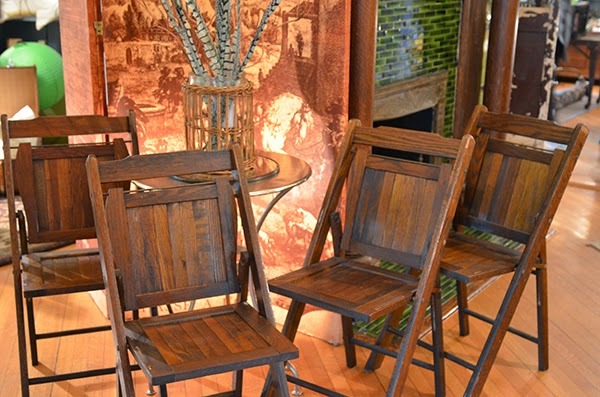 1930's wood folding chairs, set of 4 (we found 15 more!) perfect for apartments and surprise guests! while we process through our brimfield finds, the delivery trucks keep pulling up with our great "new" retail finds. 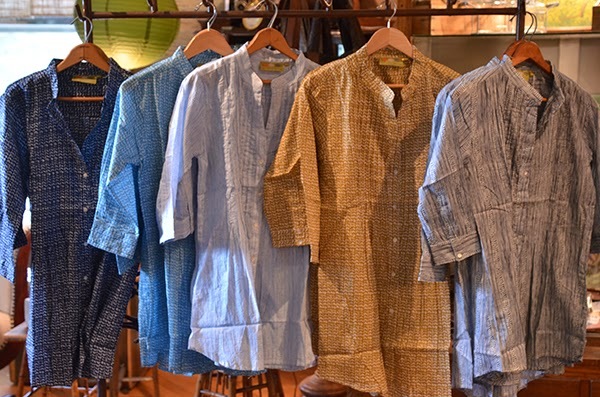 this week the pintuck tunics are back: these longer cotton beauties sell out fast at $52. 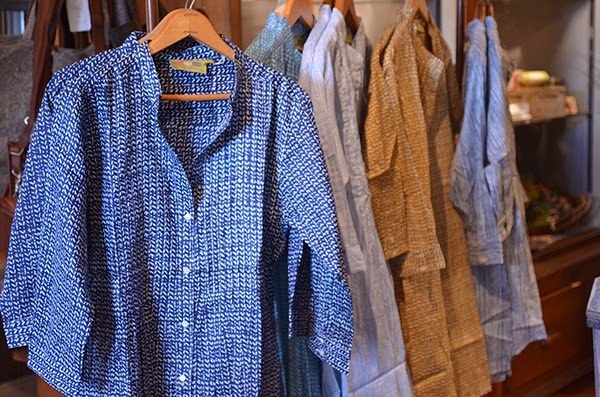 lots of great colors and patterns for summer. there's a bunch of inspiring things at the shop right now. make a little time for yourself and come have a cup of coffee with us. remember we're now open late!wednesday thru sunday, 11 to 7!